From I-91 North and South – from either direction, go to Exit 46 and turn onto Route 5 South. Proceed approximately 6 miles, make left on Scantic Road. NOTE: West River Road and Cathy Lane are not yet shown on the interactive Google Map. 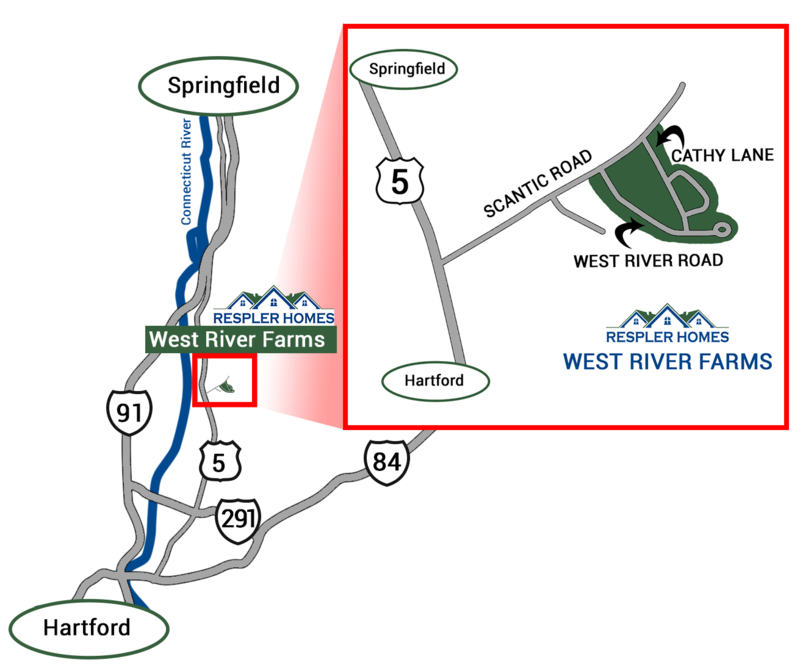 Putting 341 Scantic Road in your GPS will navigate you to West River Farms.